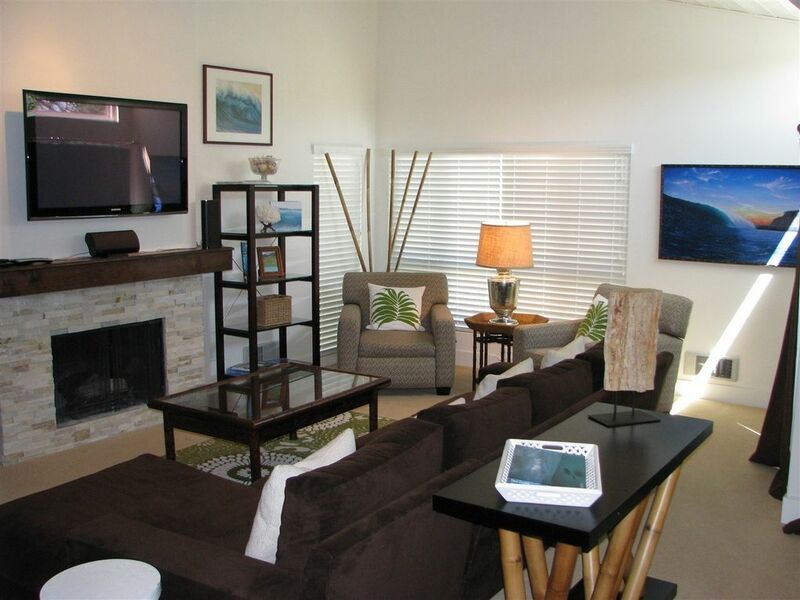 Spacious corner town home style condo. Light and bright with high ceilings and extra windows. Den can be a 3rd sleeping area or office. Large balcony upstairs and very spacious walled entry patio. Located near the beach access. Condo has upgrades and updated bathrooms. Seascape Sur is an oceanfront complex with tennis, 2 pools, 2 spas. The award winning grounds feature koi & turtle ponds with running stream. Vacation rentals are allowed here. Directions To Property: Via de la Valle west to the end to S. Sierra Ave.